I don’t eat a lot of meat. I’m not a vegetarian but I do believe our food supply is more sustainable if we have a vegetable based diet. I also believe in sustainable farming and since most of our meat is grown on “factory” farms, I avoid it. My meat comes from my local area. It costs more, but I eat less of it. That’s just an introduction to why you’ll read about so many vegetarian recipes from me. One wonderful protein source is tofu. It is a soy product so you should look for non-GMO products. (The whole genetically modified food industry is another topic.) 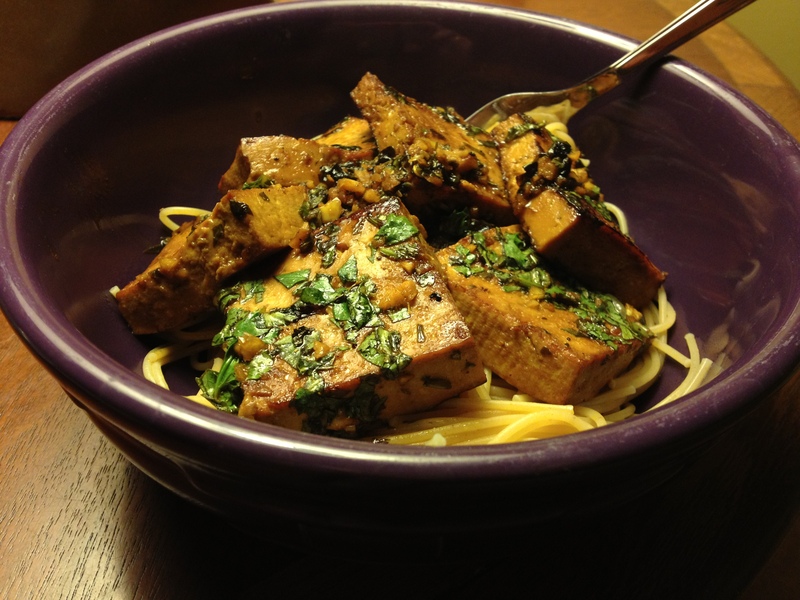 The great thing about tofu is that it takes on the flavors it is prepared with. Marinating is the perfect way to boost its flavor. 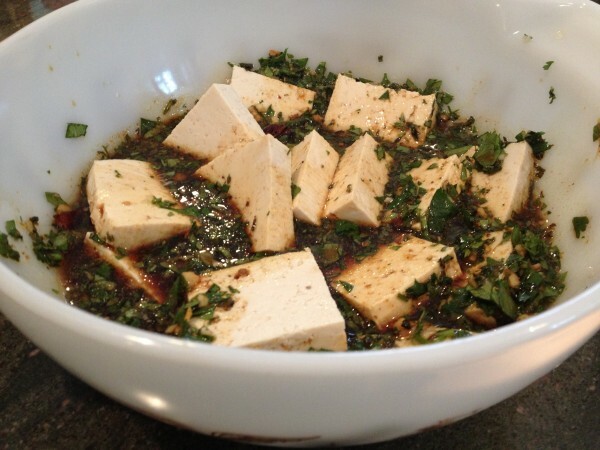 This Thai Seared Tofu has many ingredients for the marinade/sauce but I always try to use every one of them. The flavor is so amazing! I wish the photo was a scratch and sniff because when you open the container that has been sitting, the aroma wafts up and your taste buds start dancing in anticipation! I’m totally trying this recipe! Thanks! It looks delish! I was wondering if you could say something about how to actually sear tofu properly! Mine ALWAYS falls apart and never gets any crisp to the outside even with a very hot pan. I used extra firm, reduced fat tofu. It was pretty hot and splattered! It was not crispy, just browned.